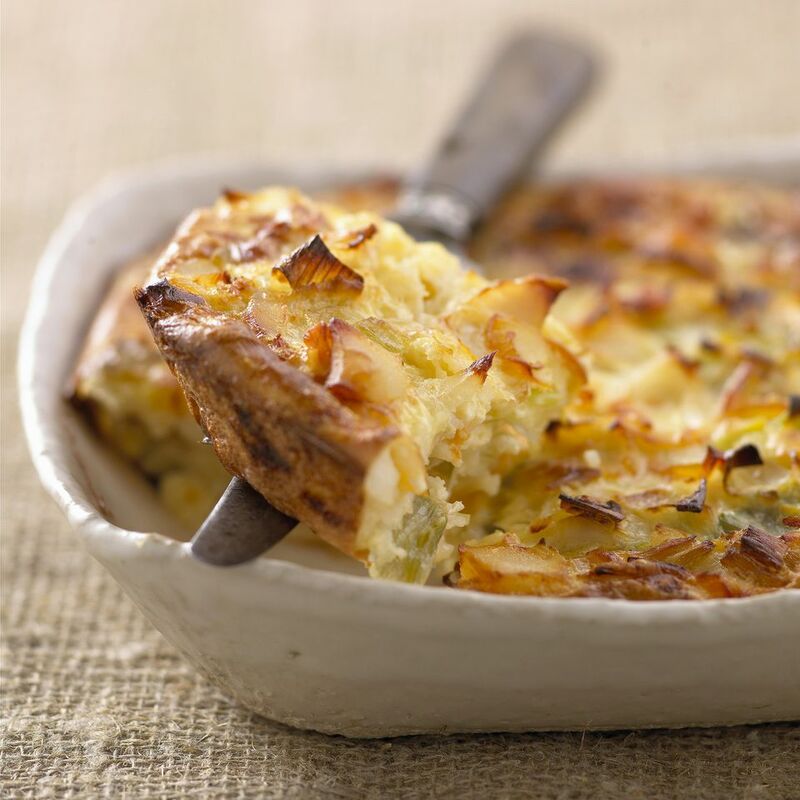 Leeks are a popular vegetable year-round, you will find them in so many British and Irish recipes. Add into the mix smoked haddock which is equally popular in many recipes, and you have an ever-increasing repertoire. I first came across a version of this dish of Leeks and Smoked Haddock in Cornwall at the renowned St Kew Inn near Bodmin. It was served as a lunchtime starter dish. Racking up the dish somewhat turns it into a lovely supper dish, and with this recipe, once cold can be cut into pieces and are super in a lunch or picnic box. Serve the dish from when the leeks and cream sauce are made. Place the milk, peppercorns, bay leaf, haddock and nutmeg into a large saucepan. Bring to a gentle simmer and poach the fish for 5 minutes. Remove from the heat, then carefully remove the fish from the milk with a slotted spoon. Strain the milk and keep to one side. In a large frying saucepan, over medium heat melt the butter until foaming but not burned. Add the finely sliced leeks, cover with a tight-fitting lid and cook for 10 mins, shaking the pan occasionally. The leeks are cooked when they are wilted and soft. Remove the lid, add the flour and stir. Cook for two mins stirring constantly, then add the reserved milk and repeat. Cook the leek mixture over a medium flame for a further five minutes. If the mixture thickens too much, add a little more milk. Lower the heat, add the haddock and cook gently until the haddock is warmed through - approximately 10 minutes. At this point, you can serve the leeks on toasted sourdough topped with the haddock. Season with a little salt and pepper. Generously grease a small, square ovenproof baking dish approximately 15 cm x 15 cm. Put half the leeks into the dish and spread evenly. Flake the smoked haddock on top and finish with another layer of leeks. Pour the cream over the fish and leeks mixture followed by the breadcrumbs. Dot with the butter and cook in an oven preheated to 400 F for 15 minutes until the top is golden brown.